Upload & attach downloadable files of anypopular format. Upload files to single products, specific Store Views,any CMS page, static block, etc. Group files into categories, edit/delete them,change sorting order and more. Grant/deny access to files for specific customergroups, limit number of downloads. Track quantity & frequency of downloaded filesfor each customer, fast and easy. Enrich your product, category or CMS pages with all popular types of media files: from user guides to video tutorials. Give customers the full information about your products and get an increase in conversion and engagement. What is File Downloads & Product Attachments Extension for? Our Magento File Downloads extension allows you to upload and instantly attach various types of downloadable files. So you can equip your Magento store pages with the downloadable files in all popular formats: "jpg", "jpeg", "gif", "png", "bmp", "txt", "csv", "htm", "html", "xml", "css", "doc", "docx", "xls", "rtf", "ppt", "pdf", "swf", "flv", "avi", "wmv", "mov", "wav", "mp3", “zip" and whatever format you may choose. Import relations product-file in bulk (in a .csv format). You can upload files to the server manually and import a .csv file (specifying relations between files & products). All the files will be uploaded to the Magento site and assigned to all the chosen products at once. 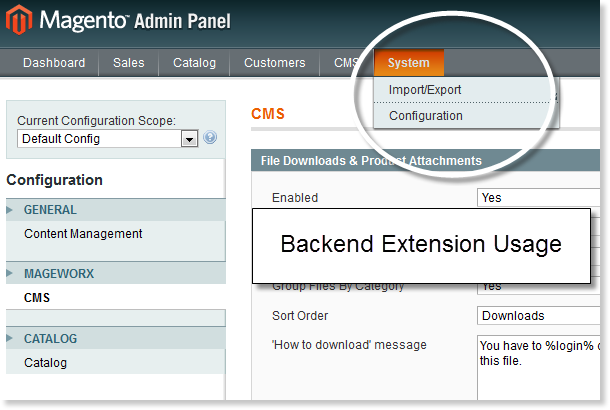 Upload files directly to your server and import them in the Magento backend. It allows you to upload files of a big size directly to the server. With this Magento file upload extension you can share downloadable files on literally any page of your store. 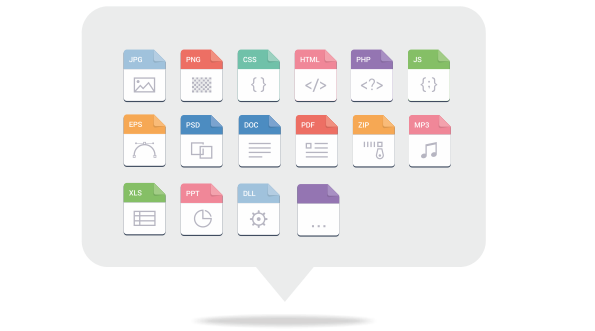 With our Magento file manager extension you can keep all the uploaded files properly structured and well-organized. Use the Downloads Counter to check how many times each file was downloaded by your site visitors. 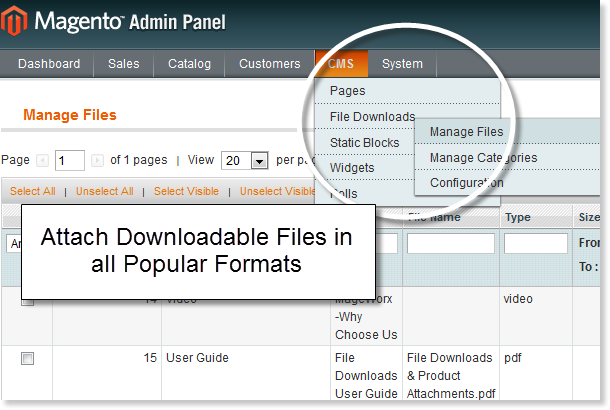 File Downloads report is generated for each customer and can be found in the Customer section in the Magento site admin panel. 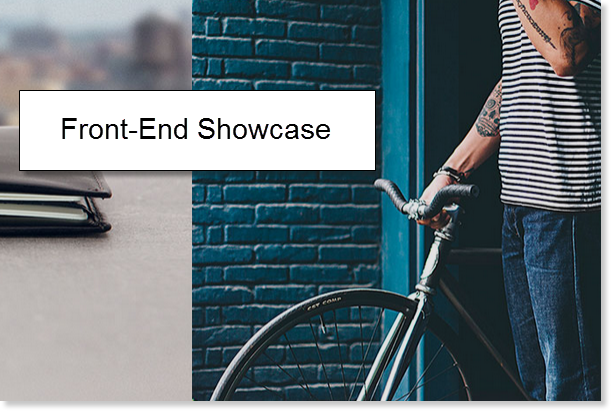 Check Magento File Downloads and Product Attachments extension on Magento Marketplace. It is a good extension, but receives a small number of updates/improvements. Some issues are not sorted out as quickly as expected. Support is competent and helped install the extension and adapt it to my theme. Needed the plugin to be customised slightly for use on my site and the support term were brilliant with giving me the help I needed. Purchased 2 licenses of the product + installations: one for my main M1 store and the other for my brand-new M2 site. The product itself is great (the M2 version could be a little more extended though), the support is super fast.. But why the installation price differs so much for M1 and M2 versions? All the rest is great! When an attachment opened in a new tab, it was displaying Magento's default favicon instead of our store's. Developer was able to help resolve this issue quickly. When I first bought this extension it didn't work in my environment. Mageworx did a great and quick job on fixing this for me! Fixes the product attachment saving while assigning the product to another website.